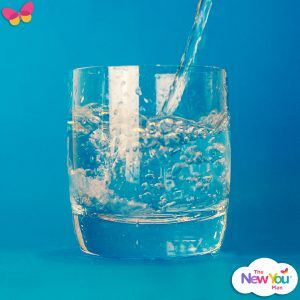 This fat burning liquid is required to hydrate your body and keep it operating at its optimum levels during weight loss. The process of burning calories actually requires water and indeed is used to help flush any toxins from your body during the process. At the same time research has shown that having less water than needed reduces your blood volume and therein your oxygen levels. This can result in fatigue. Lastly if you do not remain hydrated your body will actually try to hold onto its water stores, which can result in bloating. You would not believe how easy it is to stall your diet by making a decision to break it “just this once”. If you do this you will run the risk of bringing yourself out of ketosis while at the same time setting yourself up for the excuse of “Well the damage is done so I may as well eat what I want for the rest of the day”. When you break your diet, it becomes too easy to adopt a negative mindset, making it harder to get back on track. When you build up the habit of being on plan, after a while, it actually becomes harder to break it than to continue your weight loss journey. This tip is based on experience; try sticking to liquid meals, such as our Shakes and Soups if your weight loss has hit a plateau or if you want a bigger loss. We do not try to influence people’s menu plans as it is most important that you do what works for you. Plus, our bars are just too delicious to pass up on. But if you want to try doing things a little differently, try sticking to shakes and soups and you might just notice the weight falls off even quicker. Some customers try to speed up weight loss by having fewer than the recommended products. The great thing about ketosis on a TFR plan, is that when it kicks in, the hunger suddenly disappears. As this is the case, you may be tempted not to consume the recommended 4 meals a day. However, doing this can actually be detrimental to your weight loss. Restricting calories further than 4 packs per day brings with it the risk of putting your body into starvation mode. This means your body will try its best to hold onto its remaining fat stores if it thinks that there is going to be a shortage of fuel in the future. It has been proven that too much stress and lack of sleep can force your body to produce more cortisol, which is a hormone released by the adrenal gland. Cortisol has a key role to play in regulating your blood pressure. It is also know to affect the release of insulin and your capacity to change sugars into energy. The downside of this is a suppression of your thyroid functions in the short term and an increase in stress related eating in the long term through and increased appetite. Neither of these factors are going to contribute positively to your weight loss goal. Thanks so much for the support Sarah and I would tend to agree with you here. I also would have had my products with a full glass of water as this helps you feel fuller for longer. Thanks. Will taking the orange flavouring in the water slow down weight loss? Take it a day at a time, although it’s great to look forward it can seem a long way off so take it slowly with closer goals. You are welcome Barbara 🙂 I hope you have an awesome week! Hi Lou, you are so right a positive mindset is so important to your success on this plan. Good luck and I look forward to hearing more from you soon. Hi Jennifer thank you so much for the support and I have heard many people on the plan who are night owls mention that they would do this. I hope you have an amazing week! My tip would be to use the Secret Slimmers page. Not only do you get support, help and motivation but you get to talk to people who are going through the same things as you are, a lot of the time you will find that your family and friends just don’t understand what’s going on but you can be sure that if you have a problem somebody else on SS will have had that problem and will talk to you about it. A buddy system is the way to go with any diet but with New you you have hundreds of buddy’s to fall back on (and not squash). Thanks for the support Pauline, great tips – I really like the idea of pin boards although I always seem to make a mess of mine! Thanks for the support May, I am sure you will get there. It is also important to note that the weight loss will slow slightly the closer you get to your goal BMI. Also make sure you take measurements as some weeks the scales may try to fool you! water is the key as well as STICKING WITH THE PLAN !!! I all ways give myself a talking to like this ….. just having a night off ! why ! the weight will not come off if your not going to stick to the plan ……. yes its hard some time but do you want to be a fat git all your life ! so when you even start to thinking of having something off plan! think why did i start this plan in the first place get on the scales , get naked do you like what you see !!! learn to recognise the difference between hunger and boredom – if you’re not sure if you’re really hungry , wait , have a drink of water and see how you feel in half an hour . Great advice Melody and so true so many people eat from boredom and confusion with thirst. I used to have a glass of water with my products to try and help with this – worked a treat too 🙂 Thanks for the support! Hi Yvonne thank you for the support it is great to see you back on the blog 🙂 Well done so far and I think your tip is 100% awesome! 🙂 I hope you have a rocking week. How much did you loose on shakes only ?